Located just south of Taylorsville Road, a small house turned commercial building is ready for expansion. 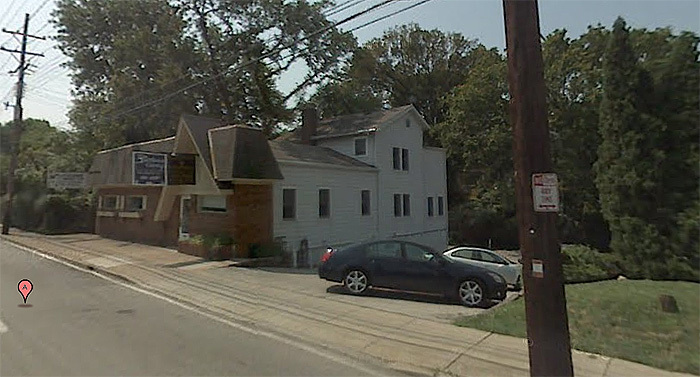 Breland Group Realtors plans to nearly double the frontage of the structure at 2616 Bardstown Road, filling in a parking lot, and apply a new seamless facade to the entire property. Breland Group owns two adjacent lots to the north of the existing structure, currently a parking lot and a grassy field. The new structure will fill the parking lot and a driveway to reach the back of the property will be moved to the grass lot. In all, 2,300 square feet of new space is planned including 1,000 square feet of retail space to house Access Technologies. Additionally, the original structure will be completely renovated and when complete, the project will feature offices, a conference room, and a two-car garage around back. Individual offices ranging from 140 to 210 square feet could be leased to individual real estate agents as needed. Financing is already underway and construction could be imminent. 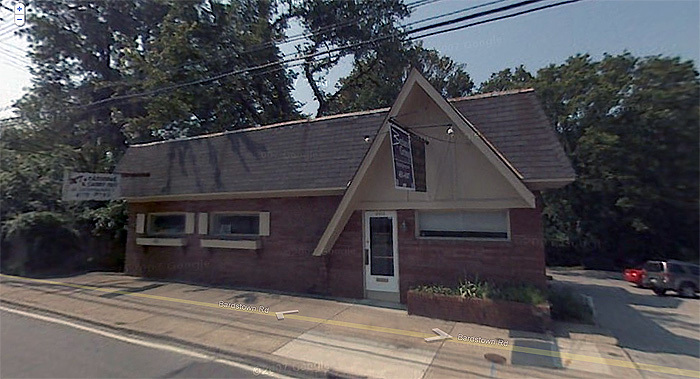 Breland expects to close on primary financing this week and received a facade loan from Metro Louisville last week. Construction could begin in around 30 days and would take about 6 months to complete. Lamont Breland says he wanted a new facade that reflects the traditional storefronts of the Highlands. He took photos of several existing structures he admired on Bardstown Road and worked with Joseph & Joseph Architects to craft the new facade. The structure was once the Le Normandy restaurant and Lamont says people drop by to share memories. There’s still a dumbwaiter that once raised food from the basement kitchen to the main floor dining room. Back then, the building was a true live-work space with the family who owned the place living upstairs. 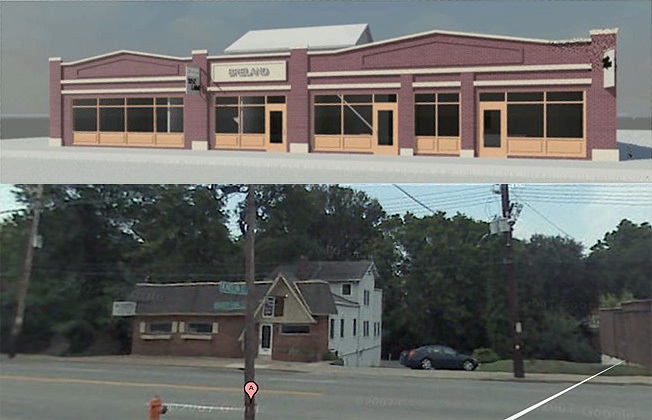 Overall, this is the kind of contextual project that helps to push the Bardstown Road streetscape south while referring to the simple vernacular commercial style of the area. And it should be quite an improvement over existing facade. When it was Le Normandy, I used to stay there every day after school. I lived next door, and the owners kept an eye on me until my mom got home. I have fond memories of playing card games in the restaurant, running to the kitchen to help myself to a soda, playing with the owners’ grandson, and running back and forth from the restaurant space to the living space. Great story, Melody. Great things happen when there’s a real community involved. Great to see Breland is respecting the Bardstown Road streetscape. It is unfortunate that Republic insisted on bringing a recycled suburban building onto the old Chevron property across the street, threatening to leave it vacant if they didn’t get their way. They could have come up with something that streetscaped on Bardstown Rd, even if they did it in a Kroger way. Instead, they whined and that intersection will continue to look suburban on the east (with McDonald’s and Republic) and form districted on the west (with the Walgreens and this new building). I hope the subway building’s owner puts some money into matching Breland’s effort. i missed the news about what republic was doing at the old chevron site. that’s a HUGE missed opportunity at a very prominent site. Yes, that Subway and nail shop building is rather dismal. Last time I was in town I also noticed that nothing had happened with the old Hollywood Videos store. Anyone know if there are any plans for that site? Thank you so much for your article and architect’s rendering. I live on Lakeside (our back yard is behind the Breland office) and was wondering what exactly was going on. I am very reassured that this is a worthy project that will be appropriate for our area.